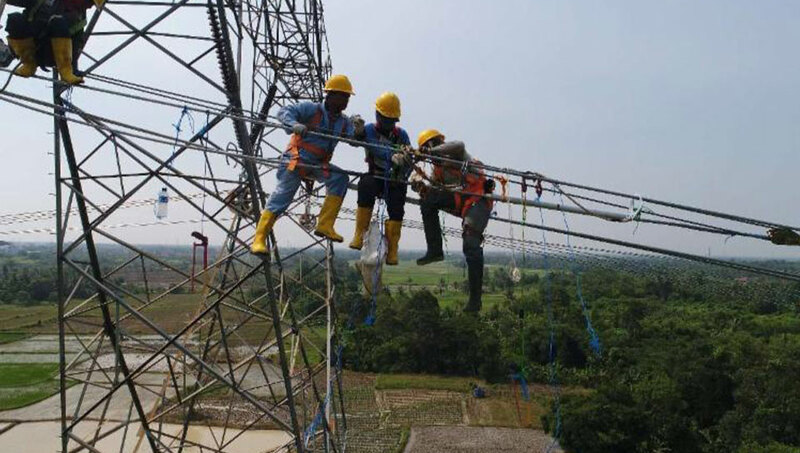 With the support of contractor PT Central Multi Elektrindo, PLN completed a ACCC Conductor upgrade in Indonesia: quad-bundled 500 kV Suralaya – Balaraja ACCC conductor transmission line in West Java near Jakarta. 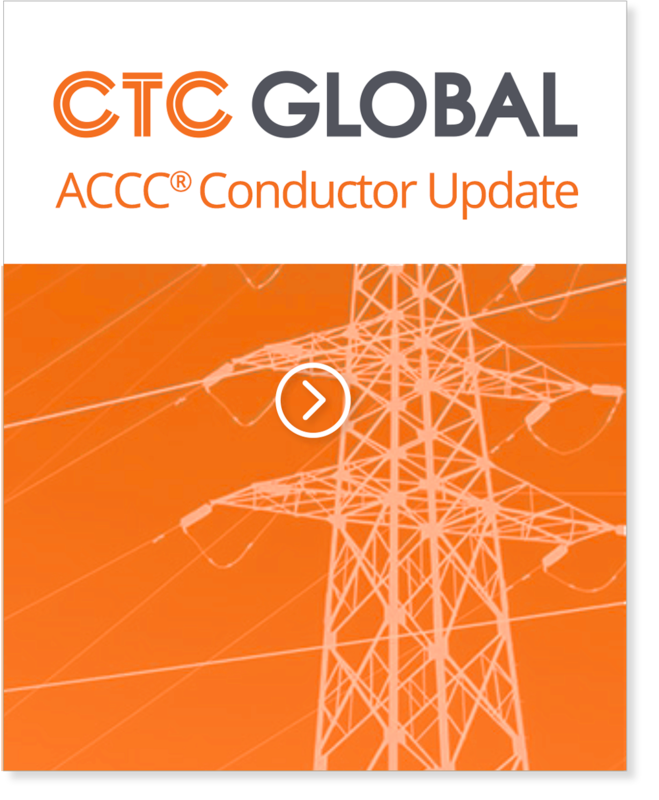 PLN selected ACCC® Amsterdam to replace ACSR Dove size conductor to increase the line’s capacity. Stringing began on March 25th, 2018 and construction was completed on July 31st. The 62 kilometer line was energized on August 5th following inspection by PLN. ACCC conductor for both projects was provided by PT KMI. Dervaux provided nearly 250 splices and over 600 dead-end assemblies while PLP provided suspension clamps, spacer-dampers and other fittings. The average span length between the metal lattice structures was approximately 480 meters with the longest span being 859 meters. Roads and buildings were protected by bamboo structures during the installation. Sections 2 to 5 were relatively flat, but section 1 was very steep and challenging with elevation changes of up to 159 meters in a single span. OMAC Quad puller / tensioners, joint presses and 2 service winches were used mainly at the substations. All other equipment was manually operated. Access to all towers was on foot which meant a 2 hour walk when accessing some towers in section 1. All equipment, which included quad rollers and joint presses was physically carried to the towers, as were the fittings. ACCC installation supervision was provided by PT PLN-E, PT. PLN JTBB, PT KMI Wire & Cable TbK, PT Dinamika Elektra Mandiri, and CTC Global’s Master Installer, Mark Eglinton. To date, PLN has completed nearly 80 ACCC conductor installations. A second 500 kV reconductor project is slated to begin in September following the Asian Games.